A day focused on nothing else but skincare? Basically the best day ever. 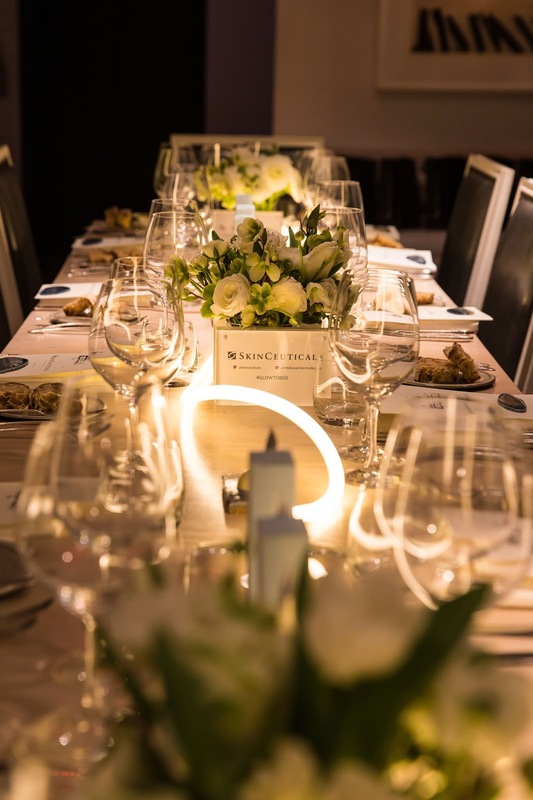 SkinCeuticals recently invited me to attend a lunch and learn about their newest launch, Glycolic 10 Renew Overnight. The speaker at the lunch was one of their partner physicians, Dr. Smith-Phillips of Mount Pleasant Dermatology in Mount Pleasant, South Carolina. 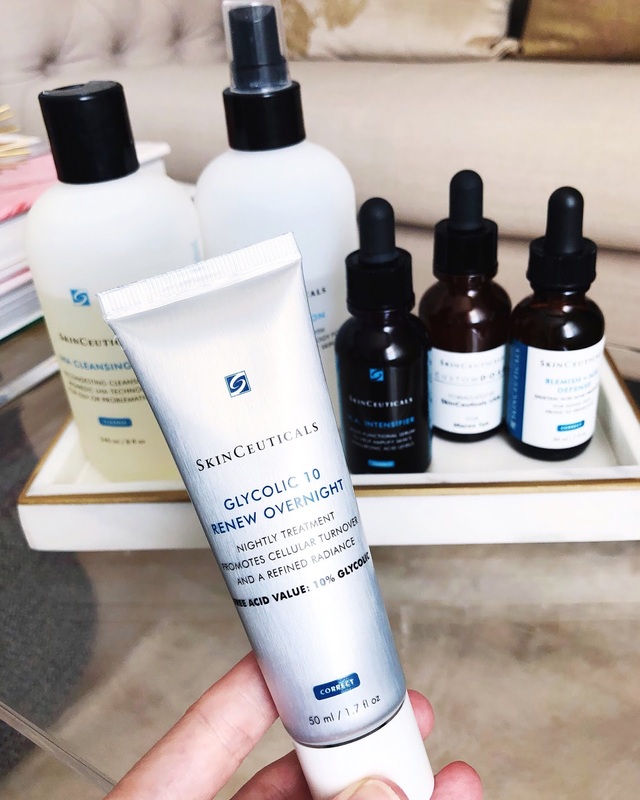 She walked us through all the details on this new formula, and educated us on how best to incorporate it into a skincare routine. 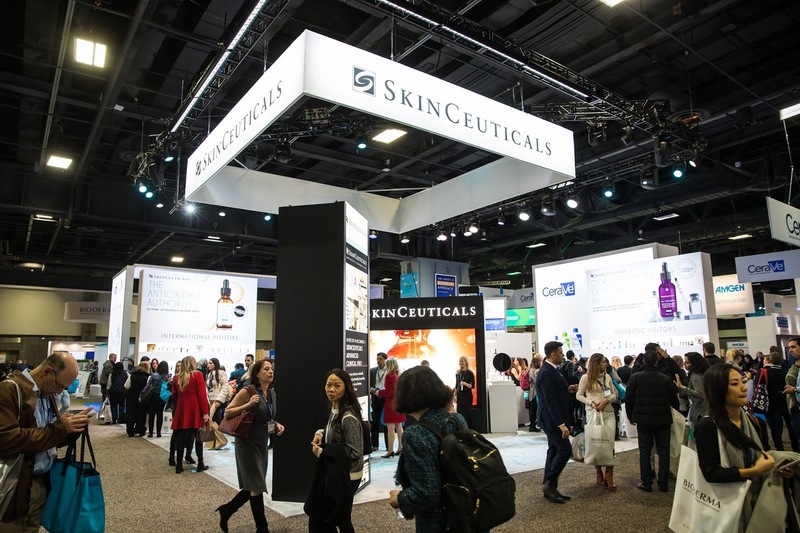 After lunch, we headed over to the AAD (American Academy of Dermatology) convention to see the SkinCeuticals booth and experience their new skincare innovation Custom D.O.S.E. Custom D.O.S.E is a new in-office treatment where you can have a serum custom made to suit your skin's own needs and target your specific concerns. 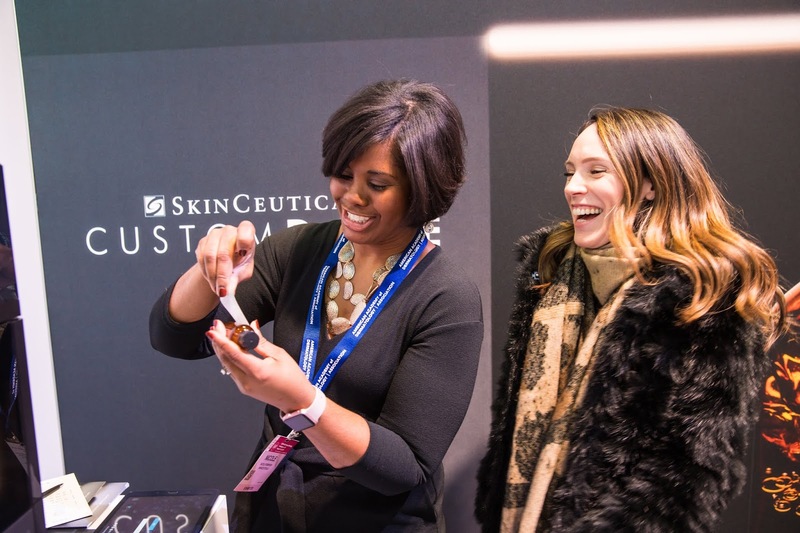 A SkinCeuticals partner physician will ask you a series of questions about your skin and based on your answers and their analysis, the appropriate ingredients are selected to address your skin's needs and blended together in the Custom D.O.S.E machine. I'm so excited because I had my own Custom D.O.S.E created and I plan to begin testing it soon. To find a clinic near you where you can have your own Custom D.O.S.E Serum created, visit the SkinCeuticals website. As someone that is a huge fan of glycolic acid, I could not wait to begin testing this new product. It's a creamy gel that is thin enough to be layered under a moisturizer or face oil but thick enough to be used on its own. I started off using this every other night just to ensure my skin wouldn't get irritated, but I was soon able to use this 5-6x/week with no issues! However, as always, I recommend you patch test first and then work up to using it nightly. The formula is designed to stimulate cellular turnover and targets fine lines, uneven skin tone and texture. For me, smoother texture was the first thing I noticed after using it for a week and each morning my skin appeared fresh and bright. After using it now for almost a month, I have fallen in love with the formula! No redness, irritation, breakouts and my skin constantly has that "fresh from a facial" look. I am already a loyal SPF user daily, but if you add this into your routine you must ensure you are wearing a sunscreen during the day. As for skin types, this would be suitable for any and all (though if you are sensitive always test a small spot first) and is a great product to add in to your routine to target anti-aging concerns and give the skin a glow. 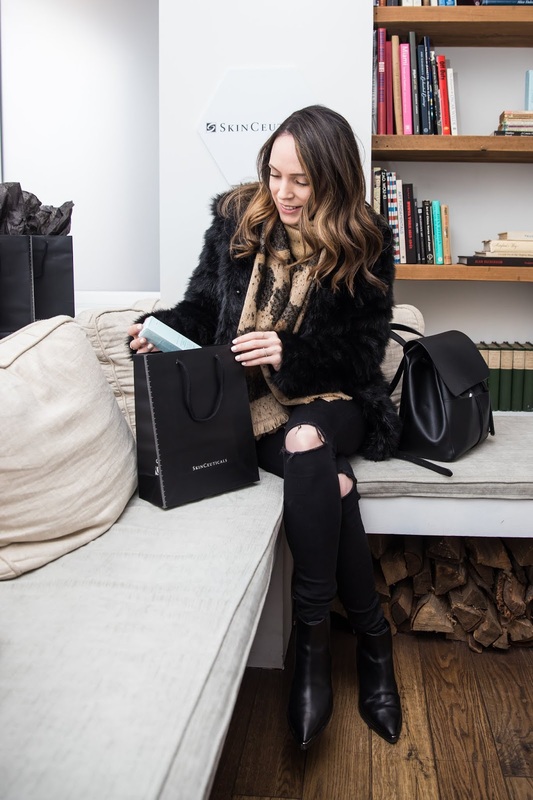 Thanks to SkinCeuticals for sponsoring this post and inviting me to celebrate such an exciting launch.